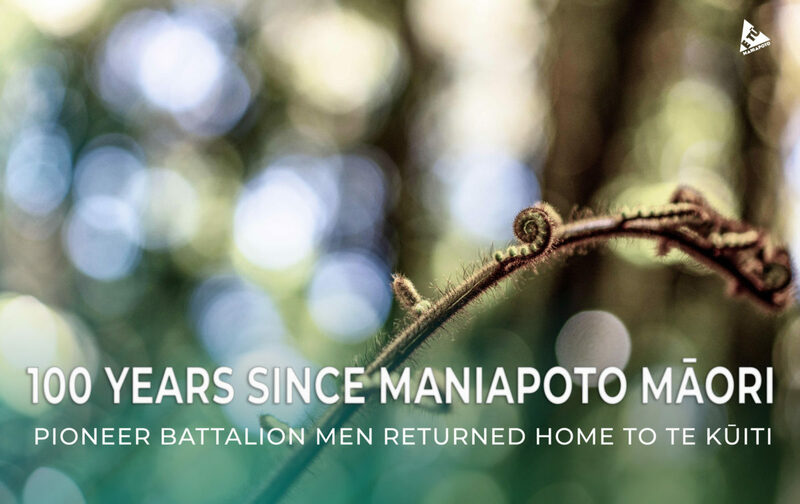 100 years ago on the 8th April 1919, Ngāti Maniapoto gathered at Te Kūiti pā to welcome home its men who had served with the New Zealand Māori (Pioneer) Battalion during the First World War. The Māori Pioneer Battalion were the only battalion of the New Zealand Expeditionary Force to return to New Zealand as a complete unit, arriving Auckland on the 6th April on the steamer Westmoreland. They were welcomed by people lining the streets of Auckland and then an official welcome at the Auckland Domain which was turned into a makeshift marae. The Māori Pioneer Battalion then separated into their tribal platoons and dispersed to their wā kainga or hometowns. The King Country Chronicle reported that the Ngāti Maniapoto contingent of men arrived by train at Te Kūiti on the 8th to a large number of cheering Europeans had gathered at the station along with school children to the number of several hundred. The men then marched to the pā to be welcomed home by the iwi. There were also words of welcome from the Mayor. The welcome-home function extended throughout the day. It was one of both joy and sorrow – joy for those who had returned home and sorrow for those who had not. 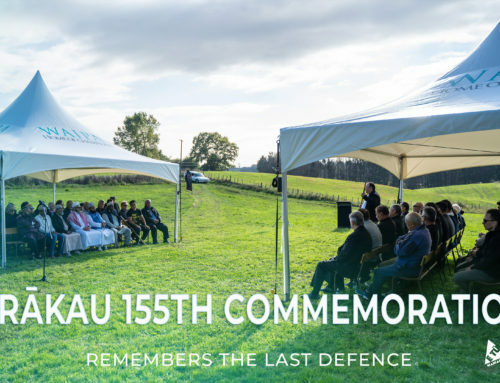 At least 12 men from Ngāti Maniapoto were killed overseas during the war. 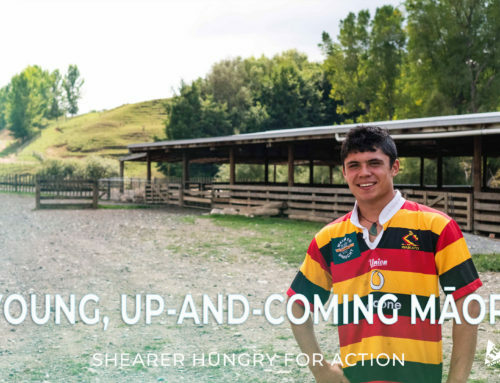 Following the whaikōrero the Mayor of Te Kūiti, with other councillors and a deputation of citizens, extended their welcome to the returned men on behalf of the district. Lieutenants Tom Hetet and most likely Henry Te Haeata Wilkinson (the newspaper reported the speaker as his brother C. Wilkinson but Charles Wilkinson was killed overseas in 1917), Quartermaster-Sergeant Tuheka Hetet and Corporal Anthony Ormsby, returned thanks for the welcome extended to them. Notably on the following day, the Ngāti Maniapoto chief Hari Hemara Wahanui died at Te Kūiti. Hari Hemara’s sons, Kohatu and Paraone served with the 1st Māori Contigent. He, in fact, gave the farewell speech on behalf the Māori relatives visiting the contingent at a gala day at Avondale Camp in early January 1915, telling them to carry the honour of the Māori race. Hari Wahanui travelled to Auckland to welcome home one of his sons returning with the Māori Pioneer Battalion, only to take ill with the flu. He returned home to Te Kūiti where he sadly passed away. 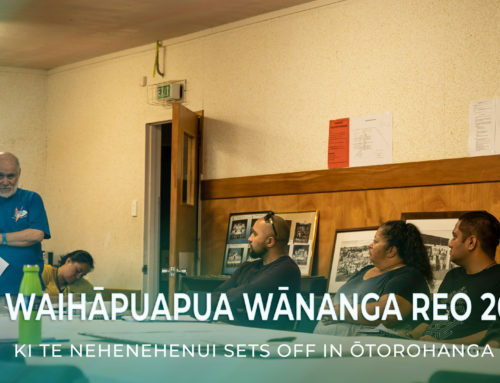 Te Kūiti pā went from hosting the welcome to preparing for a large tangi which was attended by King Te Rata himself. The following is a combination of two waiata. The first two verses are from World War One and recall Te Rata’s more neutral public position on Māori men serving in the war, namely, waiho ma te hiahia or let it be a matter of individual choice. The second two verses are probably from a waiata from the Second World War sung on the return then of Ngāti Maniapoto’s servicemen. The words nevertheless remain apt for those who came home from World War One. But come back on your feet! ‘Maori Soldiers Return: Welcome at Te Kuiti’, King Country Chronicle, 8 April 1919, p 5.